Created by Kozo at Everyday Gurus for Bloggers for Peace. Yes, I am aware that it is no longer May where many of you live, but it still is May in Hawaii. Tracy at FEC-This reminded me that I need to do this post when I saw her post earlier today. I photographed this peaceful piece of art at Kapìolani Community College. 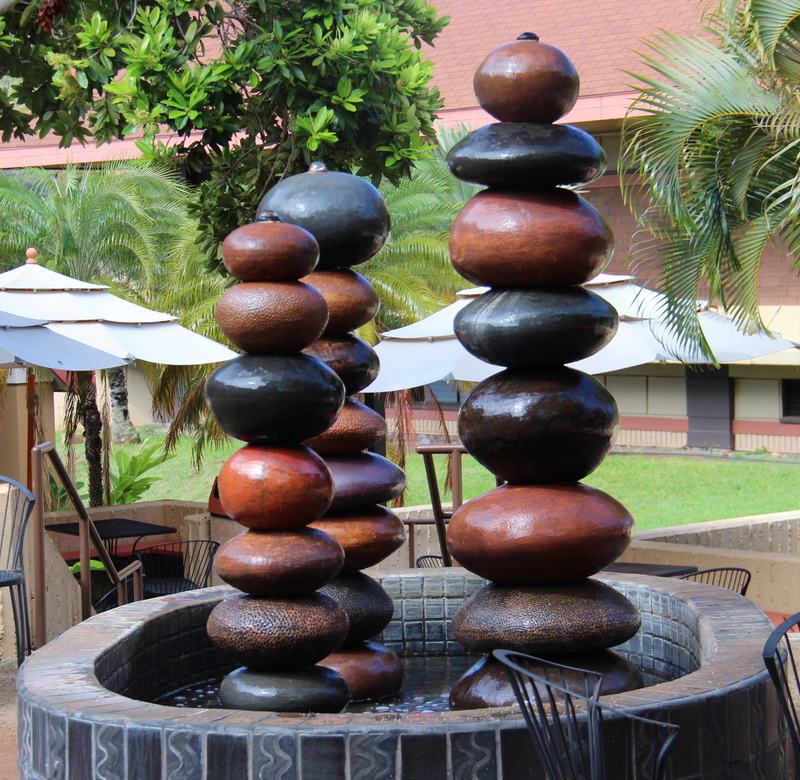 The trio of stacked stones or pohaku was created as a symbol of direction to inspire, guide, and embody the spirit of Hawaii or the aloha spirit. Pohaku, I have never heard the term, but I love it. Mahalo for this beautiful post for peace. Mahalo Kozo. I’ll do that. Mahalo. I’m glad you like it.